Basketball has taken Musa Abdul-Aleem all over the world. In the two years since he finished his collegiate career at Troy University in Alabama — where he played his senior season after transferring from the University of South Florida — Abdul-Aleem has played for professional teams in Venezuela, Greece, Uruguay and Chile. The 6-foot-5 guard from Atlanta currently plays for Universidad de Concepcion in Chile, where he’s averaging 24 points, five rebounds and two assists per game. 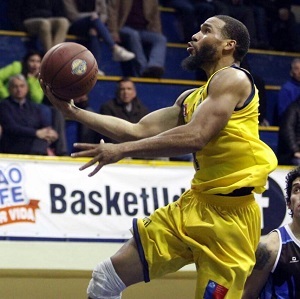 At press time, Abdul-Aleem was leading Chile’s 12-team Liga Nacional in three-pointers and steals. Traveling the globe with his wife and daughter has been full of new experiences for Musa, who spent the majority of his first two decades in the company of his twin brother, Muhammad. The twins, both practicing Muslims, played basketball together from the beginning up until their final season at Georgia Perimeter Community College, before finally chasing their hoop dreams separately. Muhammad finished his collegiate career at Florida A&M University. While he continues to make a name for himself internationally on the court, Musa Abdul-Aleem is now working on building his brand off the court as well. Abdul-Aleem is the face of Loose Moose, an apparel company he founded earlier this year along with business partner Rasheed Aziz. 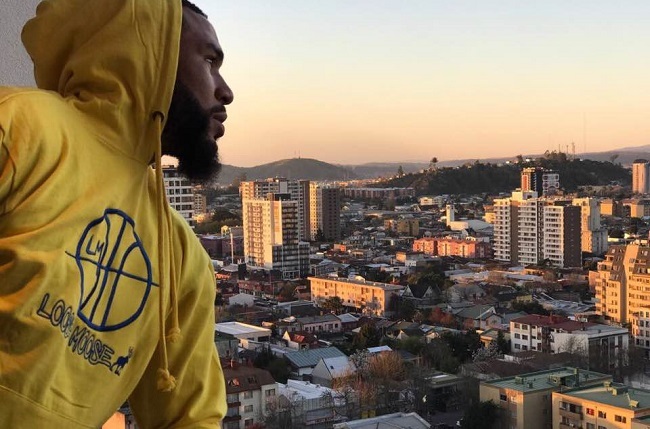 As an active pro athlete with his own clothing brand, Abdul-Aleem is not in a class by himself. From Michael Jordan to David Beckham to Shaun White, it’s been done before. But in many cases, it’s a mainstream superstar athlete who has a partnership with a major corporation or retailer such as Nike, H&M, or Target. Abdul-Aleem is trying to succeed as a smaller-scale independent entrepreneur. If you are a fan and supporter of NBA rookie Lonzo Ball and his family’s Big Baller Brand led by his famous father LaVar Ball, you should also support companies like Loose Moose. Speaking to Ummah Sports during an off day in Concepción, Chile, Abdul-Aleem talks about Islam, basketball and his brand. UMMAH SPORTS: What is one of the harsh realities of playing pro ball overseas that doesn’t get talked about a lot? MUSA ABDUL-ALEEM: You can lose your job and contract at any time. The pressure of performing every game and practice is much higher than the NBA. Most overseas contracts aren’t guaranteed. Only in Europe will you have guaranteed contracts. Which means if you get cut the team must pay you at least two months salary. It all depends on how many months on your contract is guaranteed. However, in other parts of the world — such as South America — guaranteed contracts are not common at all and at any time if the team doesn’t want you, they can send you home and not pay anything except what they owe you of that month. So it’s much more pressure to perform here than the NBA. In other words, be scared if you only scored six points (in a game); they might send you home. UMMAH: I’ve heard stories from players who went overseas about not being paid on time, about not being paid at all, about teams suddenly folding and leaving the player stranded in a foreign country … Has anything like that happened to you in your pro career? MUSA: Man, these are common stories around the world. It truly depends on two things: your agent, and the country and team you play for. Sometimes a team will not pay on time or at all in some countries. It’s scary. Thank God I have never experienced that, but I have heard many stories of that nature. I thank Allah that all the teams I played for treated me professionally. UMMAH: If I were to move to a new city in the U.S., or even a new neighborhood in my current city, I would check the place out to find a mosque, a halal market, a Muslim community. Do you do the same when you prepare to sign a contract to go to another country, and has it been difficult to find those things? MUSA: Concepción, Chile, is the only place I’ve played at with no masjid! I was so shocked and sad. There are no Muslims here except me and my family. UMMAH: Have your coaches, teammates and teams you’ve played for as a pro been understanding and accommodating to your religion? MUSA: Great question. No, I have never had an issue with any team regarding my religion and my prayer schedule. I can go and pray as soon as the time of salah comes in as they are very understanding of that. Alhamdulillah. UMMAH: Let’s talk about your new business venture. What is it, and how did it come into existence? MUSA: Yes, it’s my new clothing line, Loose Moose. The name came from a nickname a college coach gave me at South Florida. I walked in the gym one day before practice and he yelled, “The Moose is loose, baby!” And ever since then, the players and coaches called me Loose Moose. But I believe this name can apply to everyone who constantly prepares themselves to be successful at whatever they do in life. The way I see it, everyone has a “moose” inside of them, and before engaging in whatever goals they have, they have to get loose and shake off all fear and nerves to perform at the highest level. Before taking an exam, a student reviews his or her study guide. Before an athlete takes the field, he or she shakes off the nerves and stretches, gets pumped up with music. … Whatever a person does to redirect their focus for higher performance, that’s Loose Moose. UMMAH: When did Loose Moose go from a nickname to a business? MUSA: Literally a month or two ago. Citywide Productions reached out to me and asked if I wanted to create my own brand, and here we are. UMMAH: That had to come as a surprise, right? Were you familiar with Citywide Productions before that? MUSA: I’ve known the owner for many years and he dreamed about doing this with me and my twin since we were teenagers. He is actually a Muslim as well. Rasheed Aziz is the CEO and founder. They’re a company out of Baltimore, Md. They also work directly with Under Armour. UMMAH: What kind of apparel is Loose Moose? MUSA: It’s a sports apparel and fan apparel. But Citywide Productions has the capability to make any clothing such as athletic gear, polos, pants, baby clothes, socks, anything. We will eventually branch out as an all-purpose clothing brand, Inshallah. UMMAH: What is your involvement in the whole process? MUSA: The designs, ideas and concepts. Pretty much everything. They give me the freedom to like or dislike an idea or design. UMMAH: Speaking of your brother Muhammad, what is he up to now? MUSA: He’s in Saudi (Arabia) working as an English professor. And yes, he is currently playing in local leagues there. UMMAH: What is something that the average fan or consumer might not realize about what it takes to start or run a clothing line? MUSA: It’s very difficult. It starts with a dream, though. I was just blessed that the people I work with are the actual manufacturers! They make and buy their own product. So we don’t have to pay a manufacturer and order shirts and gear from them. I think that’s they key to this entire thing. We make our product as the customers order. UMMAH: Do you think the notoriety of a clothing line like Big Baller Brand will be good for Loose Moose, in the sense that people are paying attention to and want to support small, minority-owned apparel brands? MUSA: Of course! But the challenge is giving the people a reason to spend their hard earned money on your brand instead of Nike and others. That’s the challenge. UMMAH: What would you consider a successful first year for Loose Moose? MUSA: Hard to say. I would like us to still be here after one year. A lot of times, small brands die out. Our first goal is to fight through all the hardships and continue to fight to make our brand known. UMMAH: Most of the product being sold online is in blue and yellow. Do those colors hold a significance for you? MUSA: Good question. Those colors are the colors of my team here in Chile. We started out with those colors to show the team our capabilities. But we provide all colors. UMMAH: Do you plan to continue playing in Chile beyond this season? MUSA: It’s hard to say. It all depends on the salary! UMMAH: Would you be interested in playing in a majority-Muslim country? MUSA: Yes, for sure! Especially Saudi, Dubai and Qatar. UMMAH: Some American overseas pros bring their families with them, and some don’t. Was that an easy or a tough decision to have your family make this journey with you? MUSA: Very easy one for me. I gotta have my family with me. I love watching my daughter grow. She just had her first birthday on November 3. UMMAH: What else would you like people to know about Loose Moose? 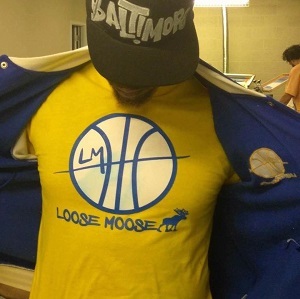 MUSA: I want people to know that Loose Moose is an exciting brand with an exciting meaning and vision. We are new, but we have all the tools to make amazing, quality clothing. Loose Moose represents every person who is fearless and wants to perform at the highest level.